For some reason (who knows why) I have been fascinated by mermaids. Over the years I have made many mermaids from patterns and from my own design. 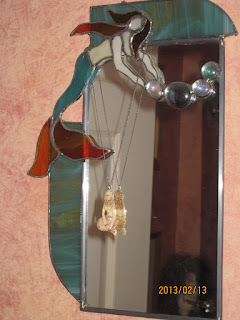 I decided to decorate my first floor bathroom with the "mermaid" theme and I thought you might like to see how it looks. 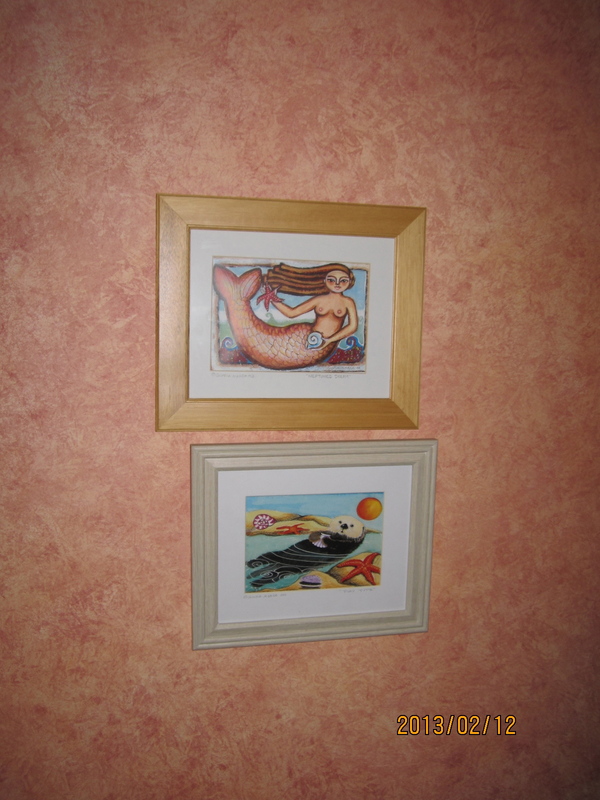 The walls as stippled with orange paint and the prints are by local artist Gloria Marco. I love her simple drawings and bright colours. This mermaid sits in the corner and is 36". 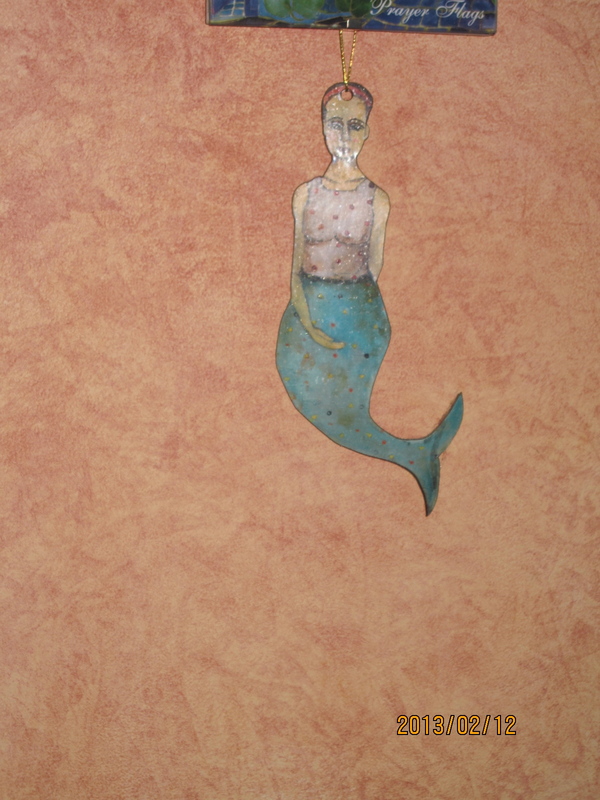 I made her from an inspiring picture of a mermaid that I saw years ago. 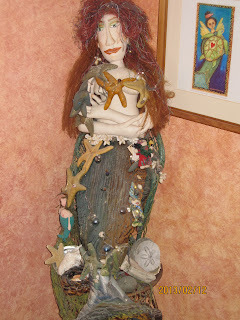 I believe the original mermaid was made by Ruth Landis. 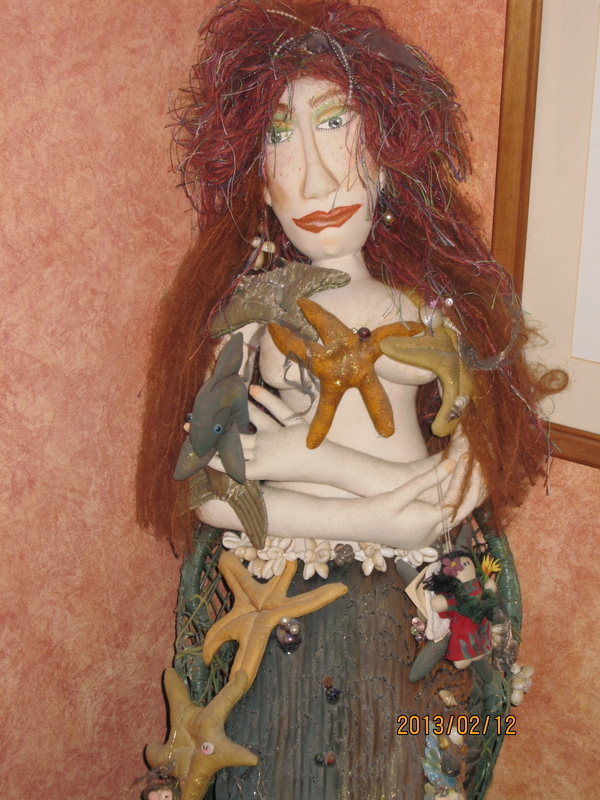 She holds her fish and her starfish protect her. She is all cloth with a wired tail. 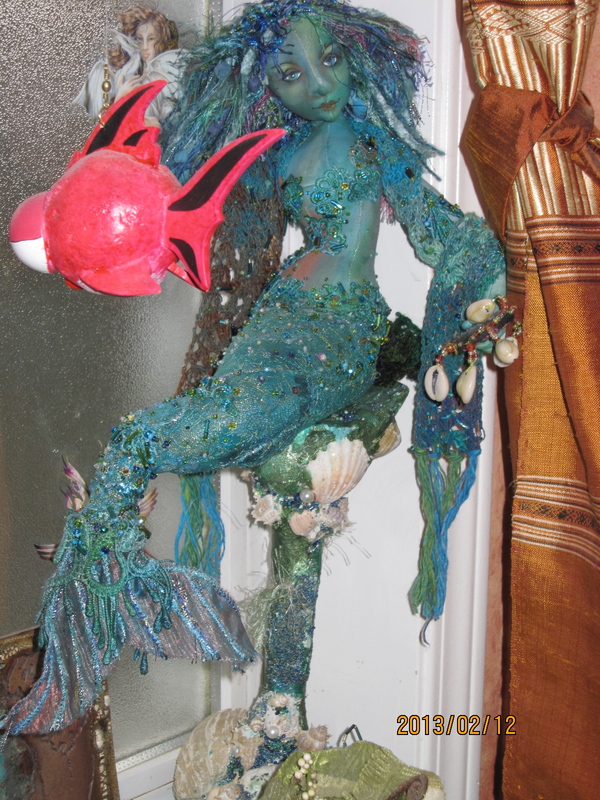 This mermaid chair I made in a workshop with Cyndi Mahlstadt. Notice the wee merbear and the mermaid pin doll on the chair! I love this mermaid made in a workshop with Arley Berryhill. 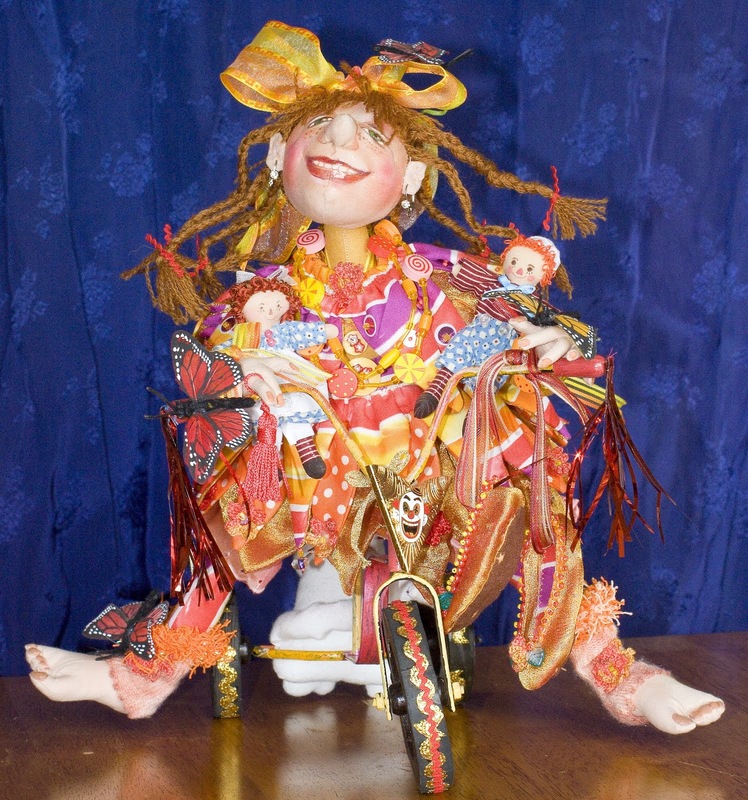 The blowfish is paper mache and floats in front of her. 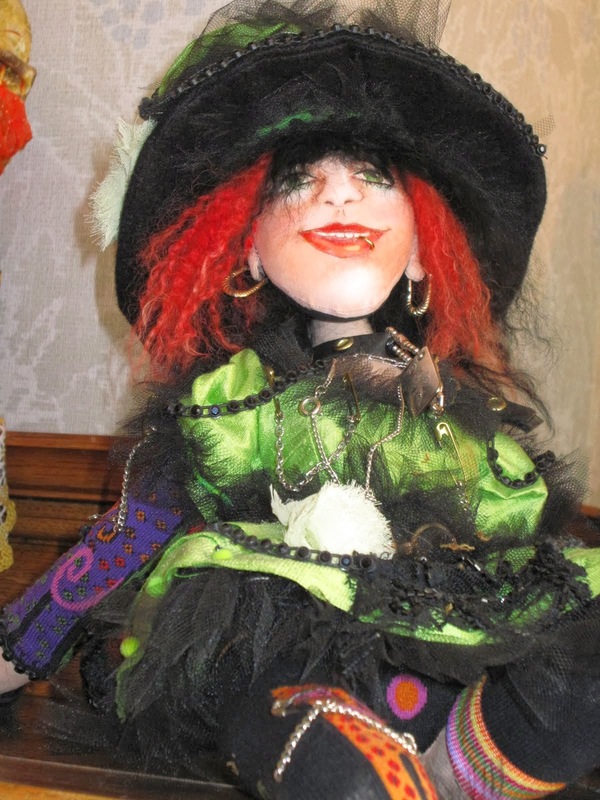 She sits in front of the window but is intent on seeing her reflection in the mirror she holds in her hand. 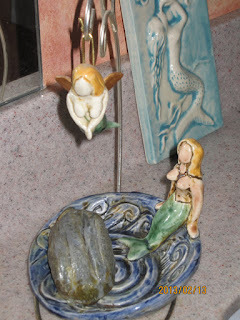 The stand is hand made as well using an old candlestick holder. 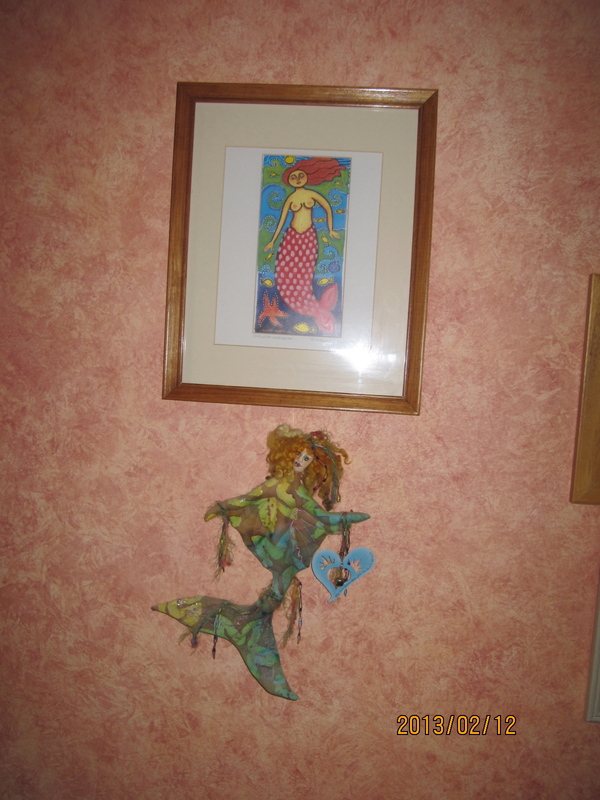 This wee cardboard and cloth mermaid hold her merbabe and hangs in a corner of the room next to the mirror. 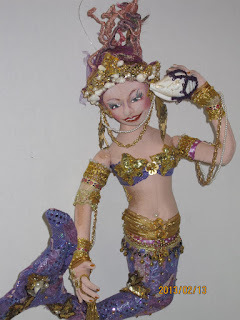 This mermaid was given to me by a friend, she is cardboard and painted (5"). Hanging from a knob on the cabinet, made from card stock and embellished using art stamps. Finally, this is my soap dish (clay) purchased at a local craft show. 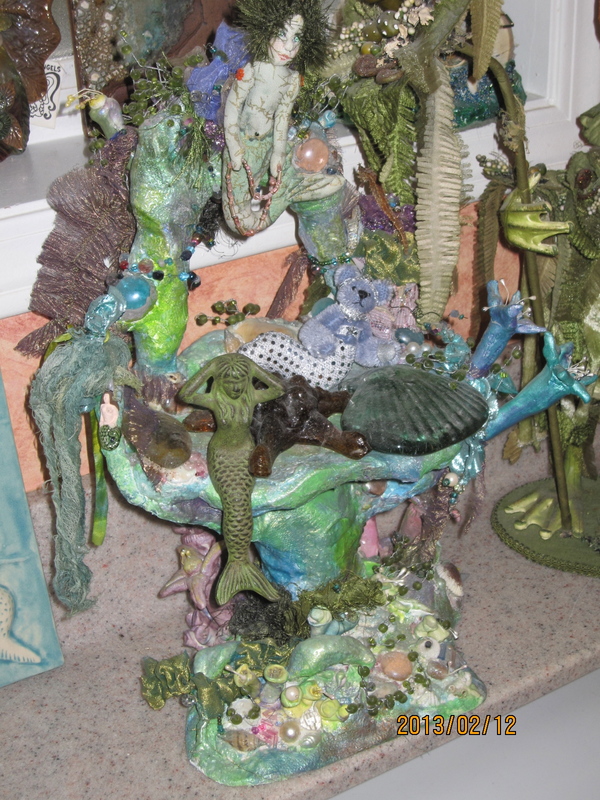 I think I cannot fit many more mermaids in this wee bathroom! 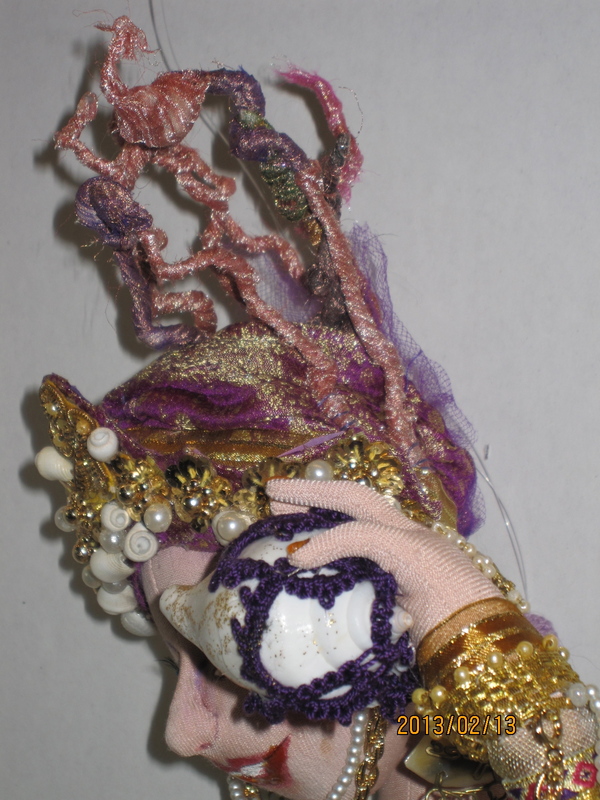 "Asha" is made using a combination of Arley Berryhill's "La Femme" and my own design, inspired by a picture of a Van Craig mermaid. She has a shell and bead encrusted head dress with coral growing from the top of her head. 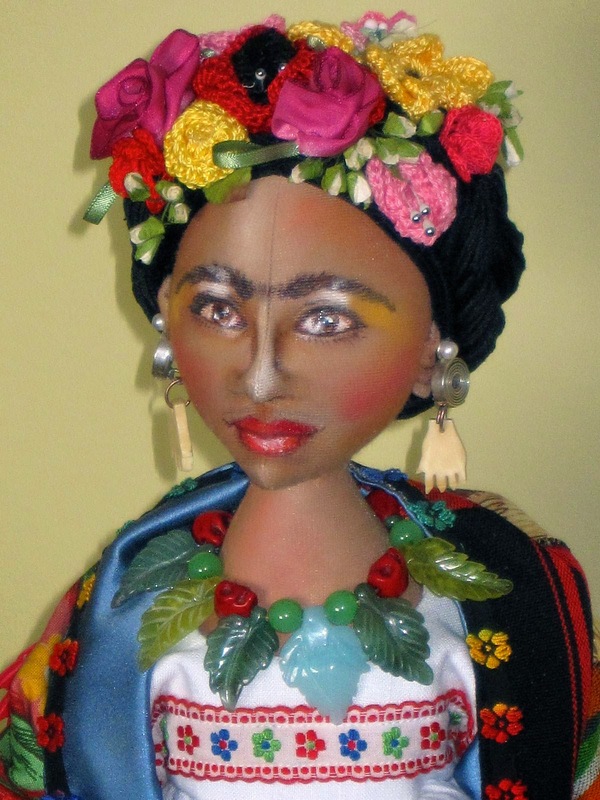 A close up of her hand-painted face with eyelashes. Here she listens to the sea. 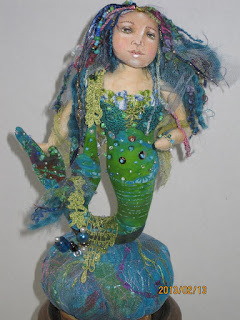 The next recent mermaid is made using the "Siren" pattern from Karen Shifton. 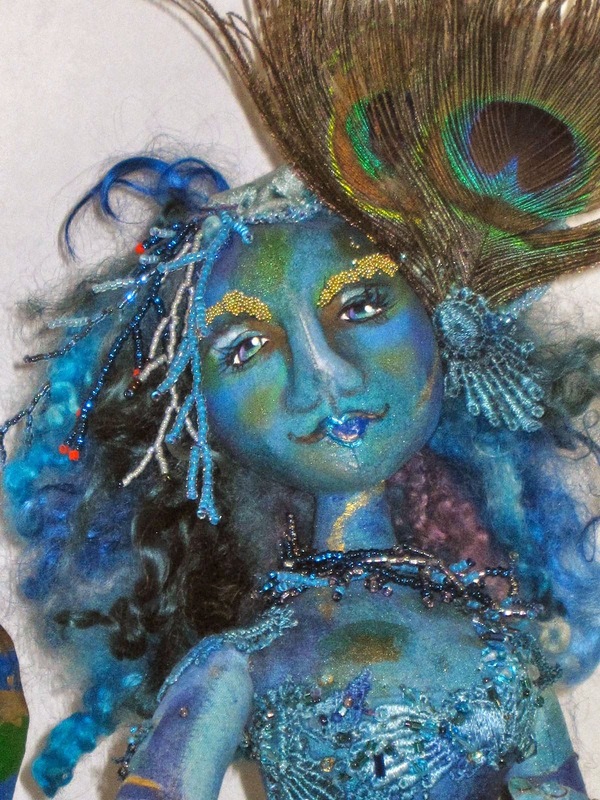 I used hand dyed rayon velvet for her body and then went to town on the hand embellishments using beads, embroidery and appliqués. 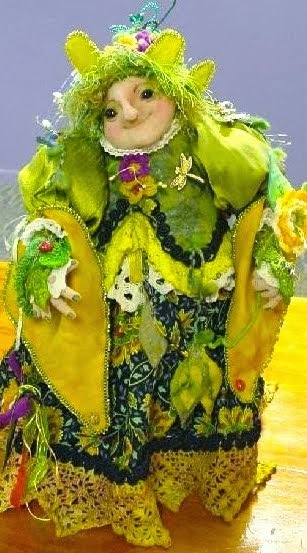 A close-up of her sweet face. 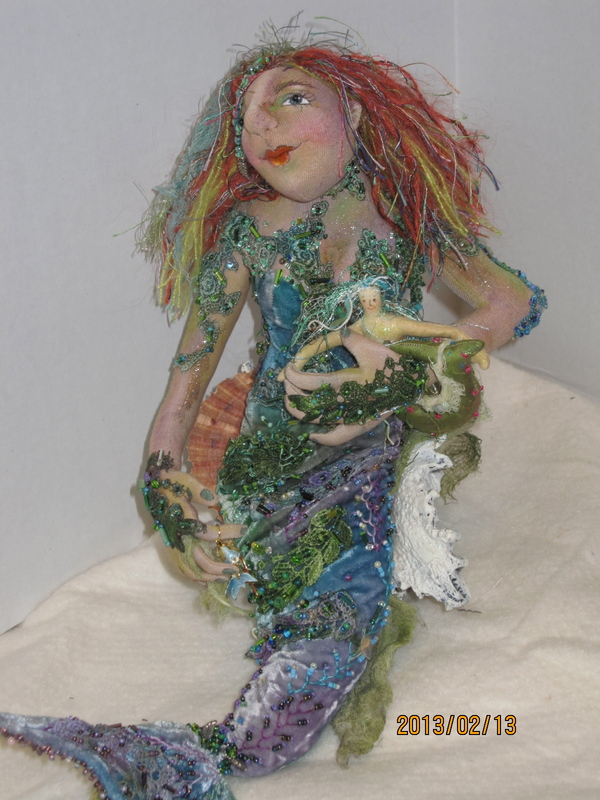 her hair is assorted fibers and she hold a wee cloth mermaid. 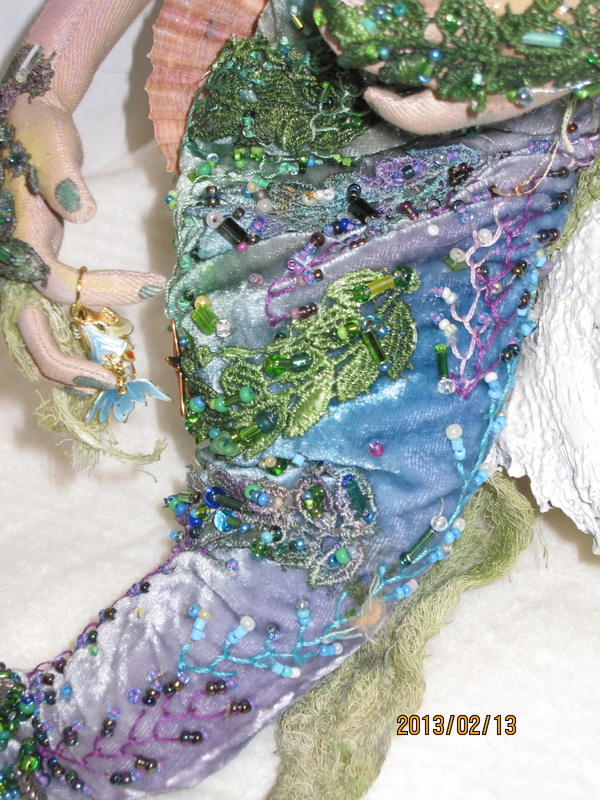 A close-up showing her beaded bodice and hand crouched algae! 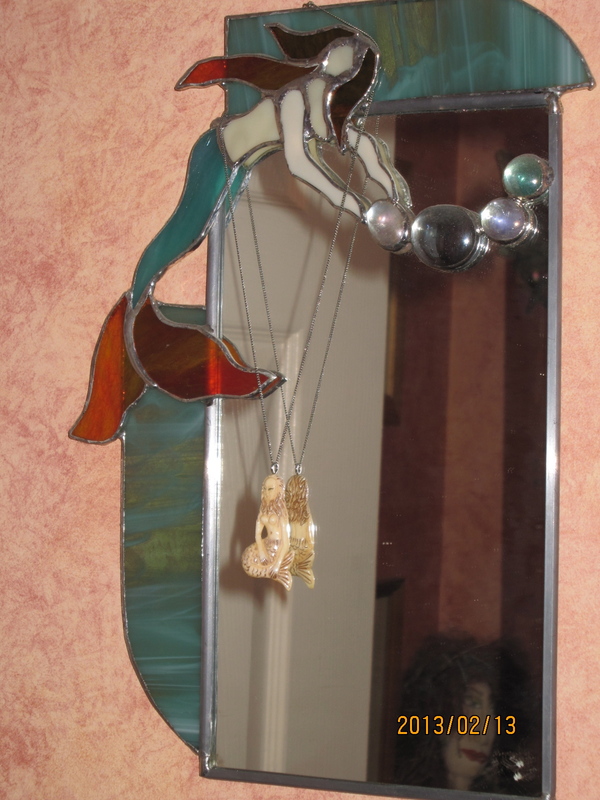 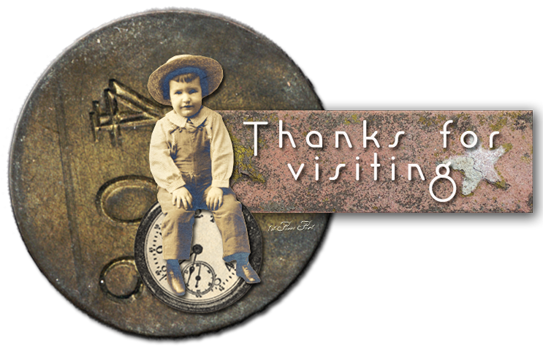 I hope you enjoyed my mermaids. 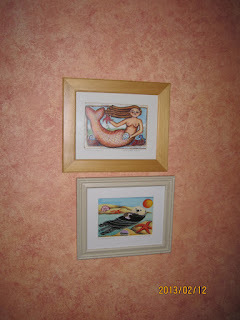 I am sure that there will be more mermaids later in the year so stay tuned! 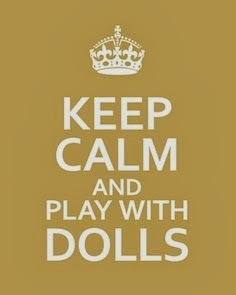 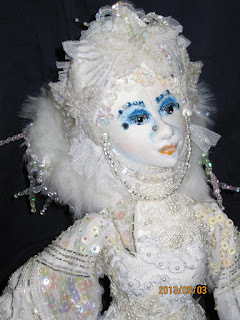 I have always admired Arley Berryhill's dolls and was fortunate to take a workshop with him a couple of years ago making the Candlestick Diva. On Arley's blog site he has a picture of his "Ice Queen" which I love. 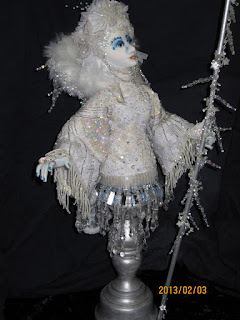 I decided to make my own Ice Queen using the Candlestick Diva workshop as my base doll. 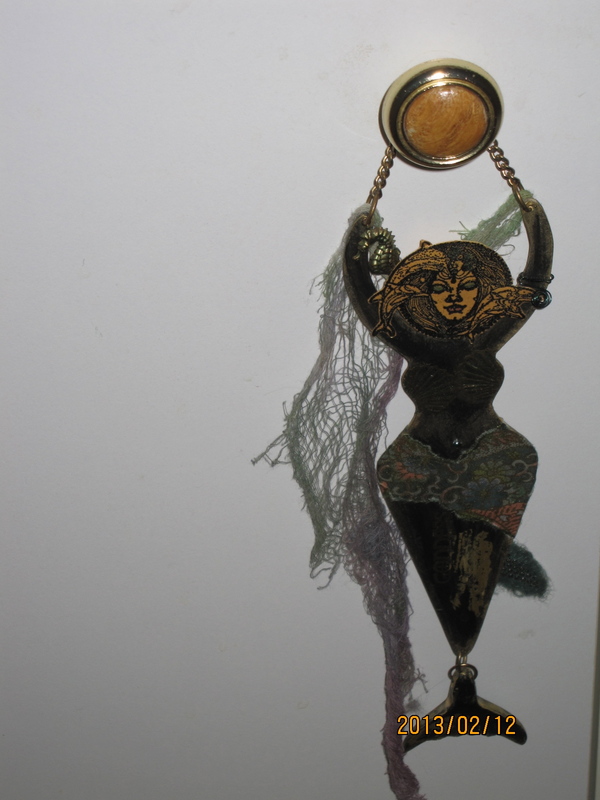 I found a great candlestick at a local thrift shop and I cleaned it up, painted it silver and gave it a coat of gloss. 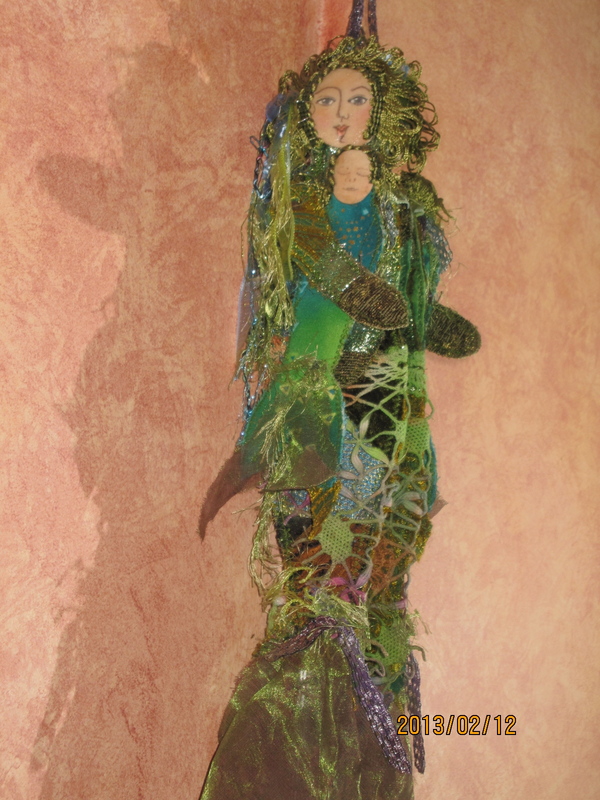 The doll came together well as I have been gathering beaded trim for a while in anticipation of making a winter style doll. Once the Ice Queen was completed, she demanded to be called the Ice Maiden and I complied (always easier not to argue with one's doll)! 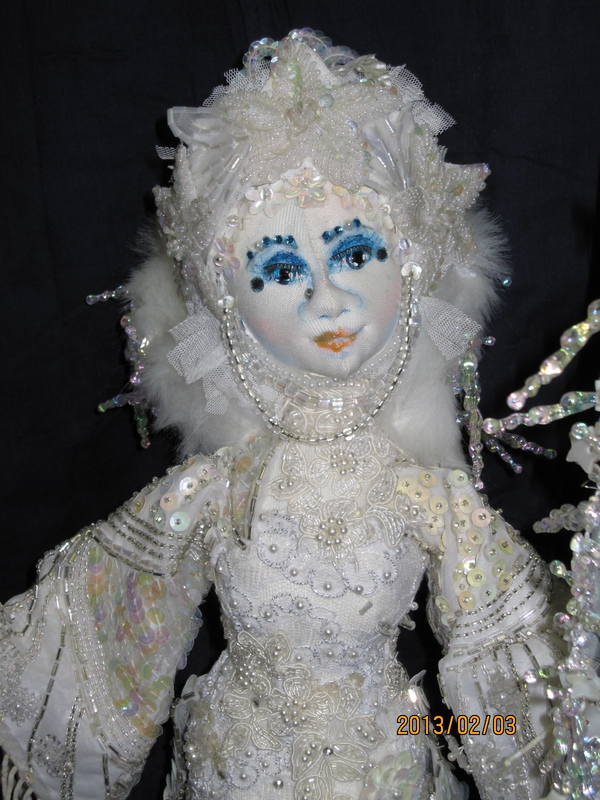 The Ice Maiden herself. 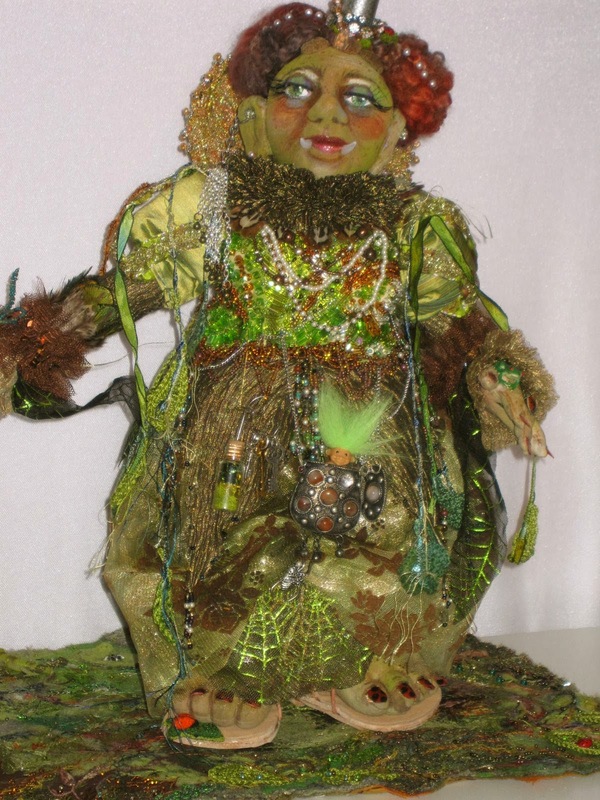 She is all cloth. 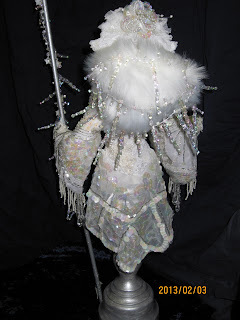 I applied many beaded appliqués to the outfit for a "icy" effect. A back view showing her fur collar complete with icicles! The Ice Maiden wishes you all a long and cool winter!